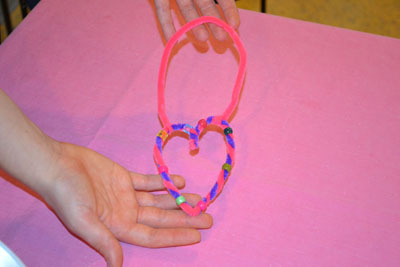 Have fun making this heart shaped decoration with your child as a Valentine’s Day activity. 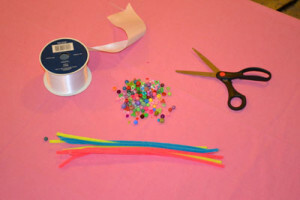 Threading beads and twisting pipe cleaners are great activities for learning fine motor skills that are used daily to write, draw, use small utensils, and operate computers and other digital tools. kindergartners to work on executive functioning, communication and planning skills. Explain the directions to your child first so they can see the whole process and understand why the steps are organized in the order they are. Follow the steps to help your child make this fun craft that they can hang up anywhere! 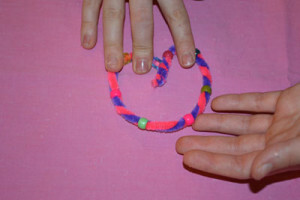 1) Take two pipe cleaners and twist them to form a spiral. 2) Thread beads onto the spiral pipe cleaners. Evenly space out the beads. 3) Bring the ends of the pipe cleaner together to form a circle. 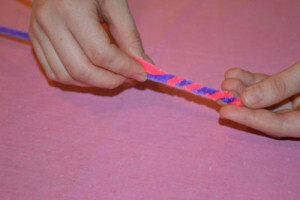 Twist the two ends together. Pushing the beads and twisting the pipe cleaners are both great opportunities to practice fine motor skills. 4) Pinch the opposite edge from where you joined the pipe cleaners together so that it resembles a heart. 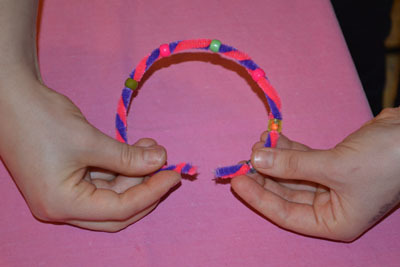 During this activity have your child brainstorm ideas for other things they could easily make with pipe cleaners. Maybe there are pipe cleaner designs they could make for other holidays (besides hearts for Valentine’s Day) or even pipe cleaner animals! Want more information on holiday activities for kids? 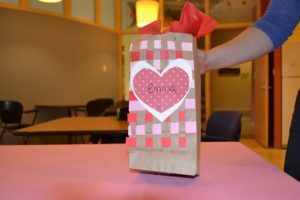 Practice fine motor and organizing skills with this fun Valentine’s Day card holder! Try these fun St. Patrick’s Day themed activities and crafts to do with your kids! Next Next post: What is Tongue Tie?